Feel-good footwear label launches microsite for 200 charitable products. 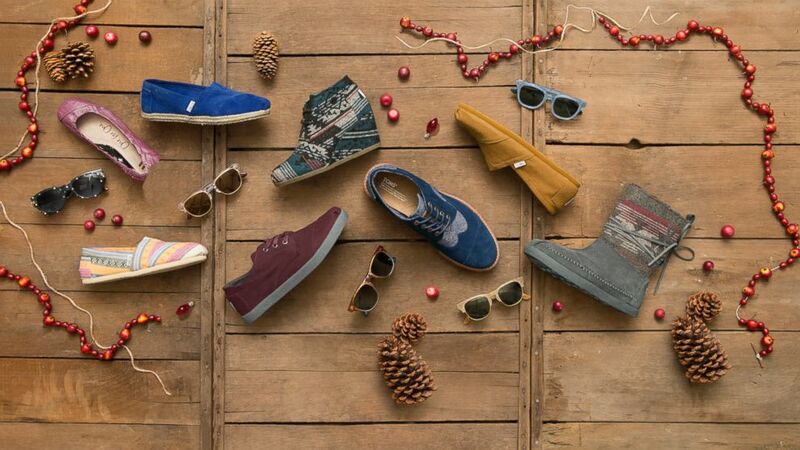 camera (Courtesy TOMS) TOMS shoes and eyewear has launched a new online Marketplace, featuring 200 socially conscious products from 30 different companies. As the season of giving unfolds many consumers with limited budgets are faced with choosing between holiday shopping and making charitable contributions. But a new online shopping destination seeks to achieve both with one click. This week TOMS, a socially conscious footwear brand that delivers one pair of shoes to a child in need for each pair sold, launched The TOMS Marketplace, a microsite featuring 200 different products made by other companies with a charitable component or "giving model." "I think that people tend to be thinking more about giving back during this time of year and are interested in gifts that have meaning," Blake Mycoskie, founder and CEO of TOMS, told ABC News. "I envision the TOMS Marketplace to be a shopping destination for shoppers looking to purchase gifts for their family and friends." The TOMS footwear label made its debut in 2006, catching the eye of consumers with an interest in conscientious living. Since then the brand has donated more than 10 million pairs of shoes, according to company figures. In 2011, TOMS expanded to include a line of eyewear that functions on a similar model. With the Marketplace, a greater selection of choices will be made available to shoppers on the TOMS site. "I've been a part of this network for years and have recognized many organizations that have very interesting ideas and businesses that can scale," said Mycoskie in an announcement on Tuesday. "Many of these have found a place in the TOMS Marketplace." From a red and green Keza Ornament ($12) by Badala to a baby kit collection by The Honest Company including all manner of non-toxic bibs, bottles and body wash ($50) to a Pure Fix bicycle ($350), the items featured in the Marketplace appeal to a wide range of interests and budgets. And the impact that sales from the e-commerce site has is equally as diverse, ranging from job creation in Rwanda to baby gear for Los Angeles families in need, to providing clean drinking water in developing countries. For his part, Mycoskie appeared to be walking the walk, and drafting his own shopping list from the site as well. "I currently have my eye on the Rose & Fitzgerald Paint Dipped Mugavu Wine Holder," he told ABC News. "It's such an awesome and unique piece that helps to support local artisans in Uganda."